Our goal is to make Darling Harbor into a new and dramatically public waterfront. This very large site is pivotal for Sydney - effectively completing the downtown peninsula and it will define the city's edges and character for a very long time to come. The challenge is to be sensitive to the environment, history, and situation of this mesmerizingly singular place while transforming it for a brilliant future. Urban waterfronts are fluid places and it would be a mistake to be overly nostalgic for these hectares of fill, for any particular pattern of historical development, or for any adjoining modern precedents. Our objective has been to multiply the waterfront by thinking of it not as a simple seam between land and water but as a gradient that extends into the city: we hope our project can both bring people to the water and water to the people. 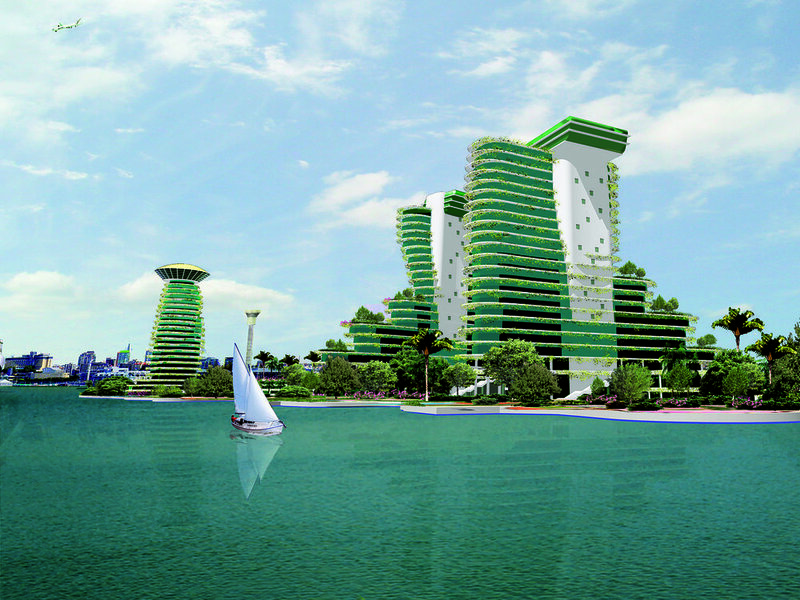 This will happen, through an intensified mix of uses on the site - including shipping, swimming, walking, dwelling, and culture - and because of the introduction of new ways to experience the water. These range from the Darling Channel, cut through the site to treble the literal water's edge, to the constructed wetlands that will treat site run-off, to the Tidal Steps that will acknowledge this powerful force and bring visitors close to the water itself, and to myriad spots for strolling, viewing, and contemplating.